The Port of Rotterdam Authority has started testing autonomous navigation with a floating lab in preparation for the next step in autonomy. The authority converted a patrol vessel into a floating lab that collects data, including data about the vessel’s operation and power. 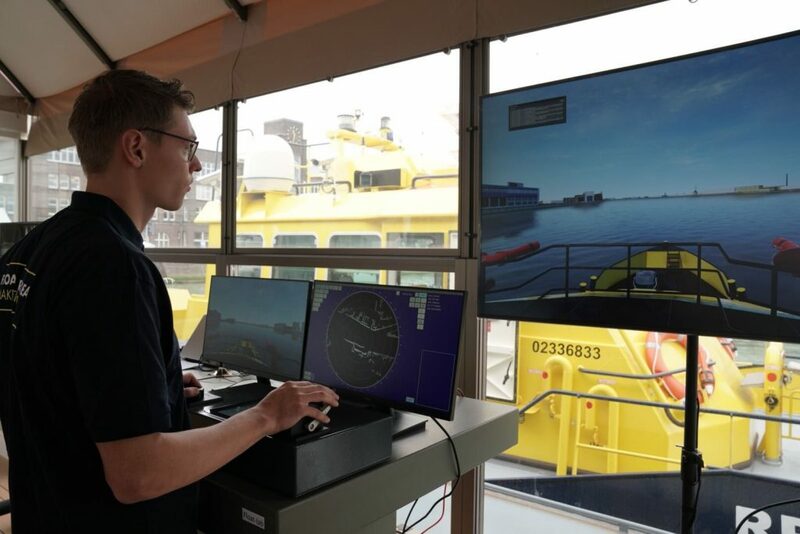 “By making these data available to the business community and education, further research can be conducted into the introduction of autonomous navigation and the Port of Rotterdam can make further preparations for this,” the authority noted. The Port of Rotterdam Authority has equipped a former patrol vessel (RPA3), the so-called floating lab, with cameras, sensors, and measurement equipment. In this way, data is obtained about weather and water conditions and about the vessel’s operation, power, and engine. As well as autonomous navigation, the floating lab will test other applications. The use of cameras will be tested, for example for automatic inspection of quay walls or detection of objects in the water. The combination of sensors on the water with land-based sensors to develop a network and smart infrastructure will also be investigated. The Port of Rotterdam Authority signed its first partnership for data exchange from the floating lab with Captain AI. They are adding artificial intelligence to the data, which enables computers to be trained as artificial captains to navigate independently through the port. “By cooperating with other parties, including by making our data available, we aim to promote the development of new technologies and investigate the impact of these on the port and port facilities,” Ronald Paul, Port of Rotterdam Authority COO, said.